Sure I've built an amazing business online, but I can't take all the credit. and some that I couldn't do without when it comes to building my business online. I'm only recommending the very best ones here, with my seal of approval, so you can be sure that whatever I recommend is guaranteed to help you create results in your business. If you could learn from the number 1 income earner in his last company, and a man who has personally sponsored well over a thousand people, would you do it? I hope that's a yes. 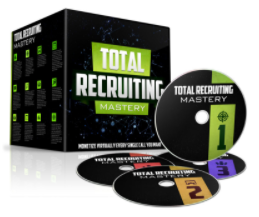 Recruiting is a fundamental skill in this industry, and this is the course to get. Get Access to it Here. How would you like to become an authority in your niche? Do you think that would help you attract qualified prospects? I hope you're nodding your head like I am. That's exactly what I was able to do, by going through this course. This teaches you the A to Z on how to become an authority in blogging and generating high quality leads from your blog. After going through this course, I was ranked number 9 online network marketing blogger on the planet within a year. Get Access to the Course Here. PS. Oh yeah, this Attraction Marketing Edition is even more packed that the regular edition, and it's more affordable too – win, win! We all know that mindset is fundamental to your success in business, and it's something we need to work on consistently. What better than a monthly mastermind, with a bunch of other 6 and 7 figure entrepreneurs? That's where The Deep Abyss comes in. The secrets really come out in this roundtable monthly mastermind, hosted by Diane Hochman, who can literally pull in 6 figures with one email. No joke – I've seen it. Warning: This will force you to stretch, grow, and get results! You're probably heard the acronym, KISS. – Keep it simple, stupid! That's exactly what we do here. Myself and 2 other legendary marketers came together to create this course which is the simplest guide to generating 2-3 Red Hot, Laser Targeted leads per day for your business. Note: When you go through this training, these people will want to work with you. We achieve all this without and kind of blogging or adverts. 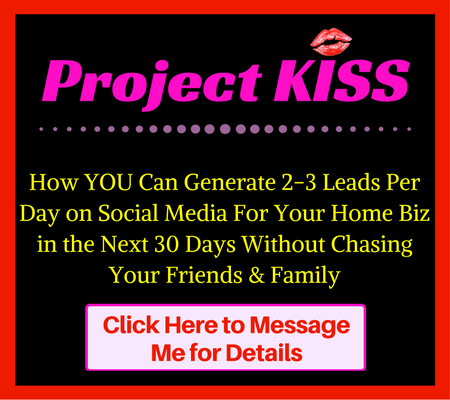 If you're not currently generating 2-3 highly qualified leads per day, you need this course. * Access to this course is currently only available on a selective basis – Message me here to qualify for access. AWeber – If you're building a business online, you need an email list – that's why you need an autoresponder. This little tool allows you to send an email to thousands of people with the click of a button, how cool is that!? There's many autoresponders on the market; however, having tried all the major ones out there, I recommend Aweber for their ease of use, deliverability, and amazing customer support. You can test them out for 30 days for free and see how you like ‘em!